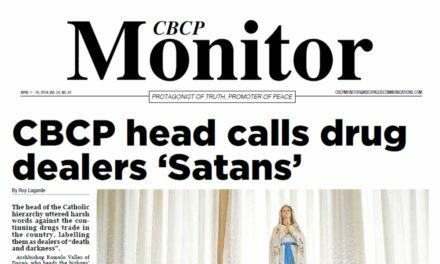 Cardinal Luis Antonio Tagle of Manila said that church people are called to unite people and not create division in society. 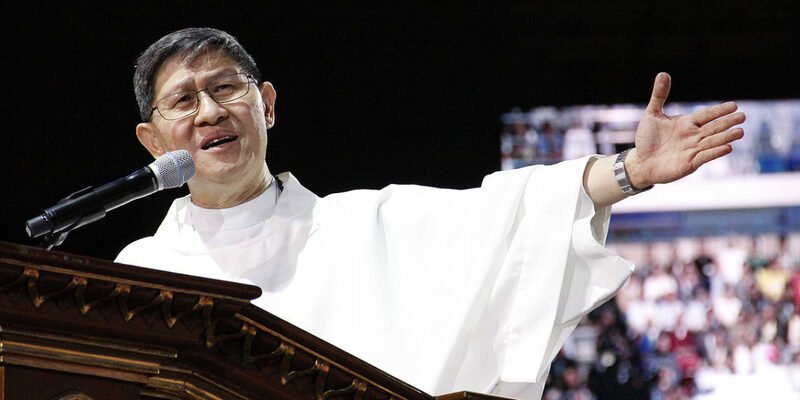 Speaking at the end of the Philippine Conference on New Evangelization on Sunday, he stressed that God wants the “unity of His people” and for them “to be one in spirit of caring”. “It is not the role of the shepherd to scatter. 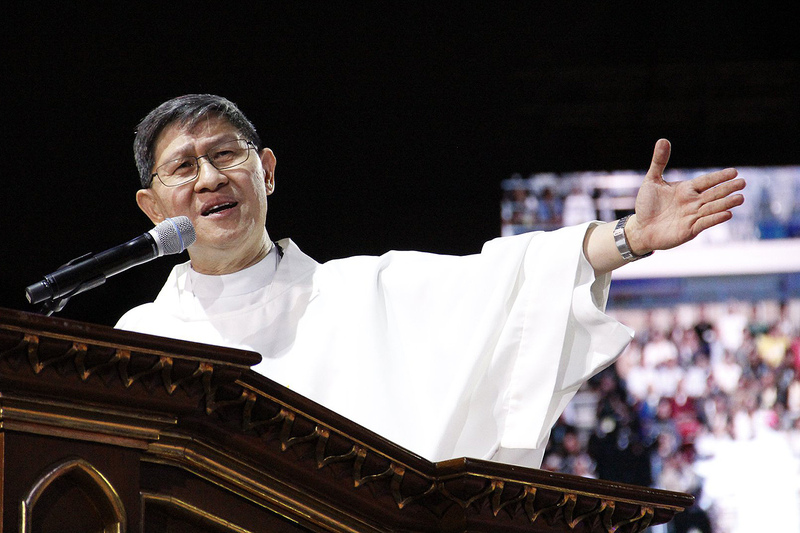 The role of the shepherd according to the mind and heart of God is to gather and that is the root of the word Church, not division,” Tagle said. According to him, the church and its leaders should be an earthly reflection of the oneness of God and are called to a type of leading that would bring people together. 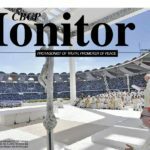 “All of us who have been called to follow Jesus and who have been given positions, calling and responsibility over the others should be mindful of that,” he said. 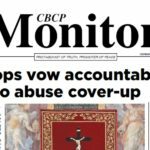 Reflecting on the various talks and testimonies during the five-day gathering, the cardinal also warned against instrumentalizing the Gospel for self-interests and “non-evangelical purposes”. He emphasized that Jesus refuses any attempt to instrumentalized the Good News for worldly goals. “They say it’s the Gospel, it turns out to be an ambition. They say it’s aid, it turns out to be media mileage. 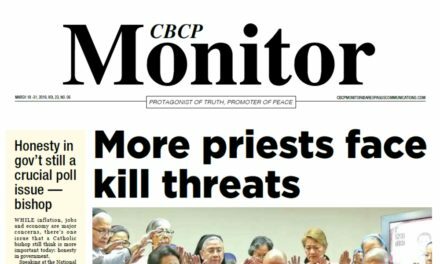 They say it’s compassion, it turns out to be career,” said Tagle. 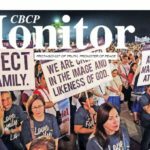 The miracle of feeding the multitude is PCNE‘s icon for the Year of the Clergy and the Consecrated Persons who like the laity share in the common priesthood. 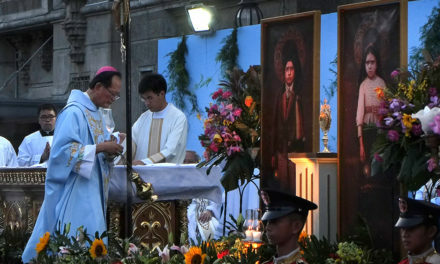 The gathering ended with a Mass presided over by Archbishop Gabrielle Caccia, the Apostolic Nuncio to the Philippines. In his message, the archbishop urged the faithful to “move” with compassion and “always think of a person, never a number”. “When you see that their needs are so many, don’t think you will accomplish that work but say what you can do and give what you have and what you are to Jesus. 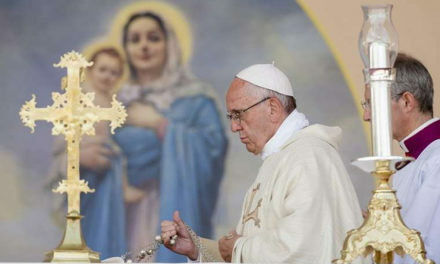 He will perform miracles,” Caccia said. The liturgical service ended with the distribution of at least 6,000 pieces of bread shaped into fish. 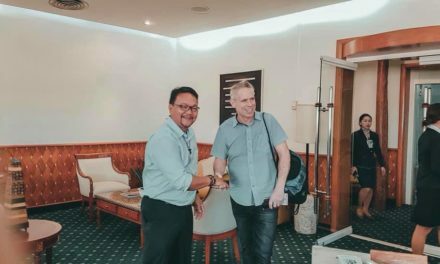 PCNE Director Fr. Jason Laguerta said the fish reminds everyone of what has been written in the Gospel where the evangelists underscored the generosity of the boy who shared five loaves of bread and two pieces of fish which Jesus Christ multiplied and fed to thousands of believers. “The fish-shaped bread which will be distributed to the congregation is a symbol of one’s generosity and the power of Jesus to multiply the meager resources they had,” he said. In Church history, at the time of the persecution of Christians, believers used a symbol of fish called ichtys to identify fellow believers. 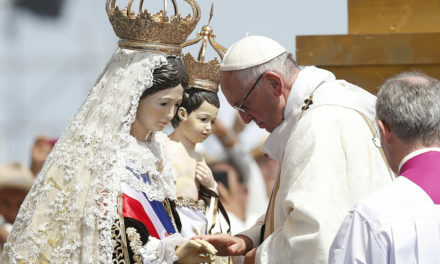 The image was used as a symbol of Christianity.